What is an Urban Watershed? Where is the Indian Creek Watershed? No matter where you live, you live in a watershed. A watershed is the land area that drains to a single body of water such as a stream, lake, wetland, or estuary. The landscape is made up of many interconnected basins, or watersheds. Within each watershed, all water runs to the lowest point - a stream, river, or lake. On its way, water travels over the surface and across farm fields, forestland, suburban lawns, and city streets, or it seeps into the soil and travels as ground water. Large watersheds like the ones for the Mississippi River, Columbia River, and Chesapeake Bay are made up of many smaller watersheds across several states. Unlike municipal boundaries, watershed boundaries are defined by nature and therefore watersheds often overlap a number of jurisdictions. For example, in Lake County there are four major watersheds: Lake Michigan, North Branch of the Chicago River, Des Plaines River, and Fox River. These four watersheds are subdivided into 26 smaller sub-watersheds. A watershed includes not just the surface of the land, but also the area below the surface. The North Branch of the Chicago River, for example, drains 94 square miles of land in Lake and Cook counties. 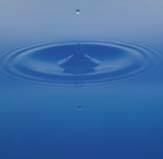 The health of our water is a direct reflection of how the land in its watershed is used. An urban watershed is defined as including urban and downtown areas, city neighborhoods, suburban municipalities, and unincorporated areas characterized by encroaching urban sprawl. The ways people live in urban areas have dramatic effects on the health of urban watersheds and waterways. Our storm and sewer systems and our roads, highways, parking lots and other expanses of paved surfaces all impact urban watersheds, causing water to move more quickly off the land, which results in larger amounts of water surging through streams in shorter periods of time. Many experts use the term sewershed to describe urban watersheds, to emphasize that the urban stream no longer has many natural tributaries. These have largely been drained or filled and replaced by stormsewer and wastewater treatment plant connections.  The growing percentage of paved or impervious land, which has a reduced ability to soak up moisture.  The increasing numbers of ever-larger storm and sewer drain connections. Everyone lives in a watershed. You and everyone in your watershed are part of the watershed community. The animals, birds and fish are, too. You influence what happens in your watershed, good or bad, by how you treat the natural resources - the soil, water, air, plants, and animals. What happens in your small watershed also affects the larger watershed downstream. The Indian Creek Watershed is located in central Lake County, Illinois or in the northeastern portion of the Chicago metropolitan area. Our watershed encompasses parts of Mundelein, Vernon Hills, Hawthorn Woods, Long Grove, Lincolnshire, Lake Zurich, Kildeer, Buffalo Grove, Indian Creek, and drains from portions of the townships of Fremont, Ela, Vernon, and Libertyville.It contains 24,108 acres, which includes 644 acres of lakes and 40 miles of tributaries. Some of the better known lakes in the watershed are Diamond, Big Bear, Little Bear, Charles, Kemper, Countryside, Sylvan, Forest, Bresen, Stockholm and Harvey. The stream system is made up of Indian Creek, Seavey Ditch, Kildeer Creek, and Hawthorn drain, Sylvan Lake and Forest Lake drains. Map of the watersheds in Lake County, IL – Indian Creek Watershed is in the south central portion of the map. The sub-watershed was identified by code GU on the Illinois Water Quality Report (305B) and ILGU02 under Clean Water Act Section 303(D)/Illinois 1998. 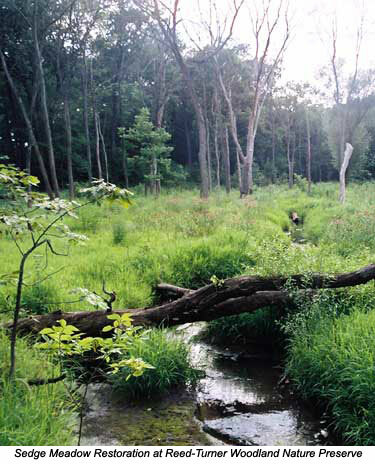 In 1983, the Indian Creek sub-watershed was rated in only fair condition having "partial support /minor impairment." The sources of this impaired assessment included construction, land development, hydrological modifications, channelization, urban runoff, municipal and agricultural practices. As this assessment was concluded over 15 years ago, the condition of the watershed is likely to be even more degraded due to increased development and declining natural areas. 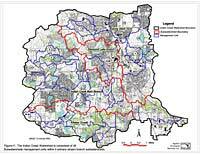 A watershed management plan examines all the different aspects - natural and social - of the watershed. It coordinates the activities of diverse municipalities and agencies and provides a blueprint for integrating activities and overcoming the fragmentation that plagues urban watersheds.